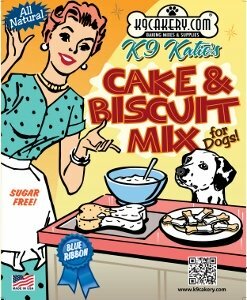 The Fidos Frosting brand of dog treat icing and dog cake frosting is an award-winning brand manufactured by K9Cakery.com. 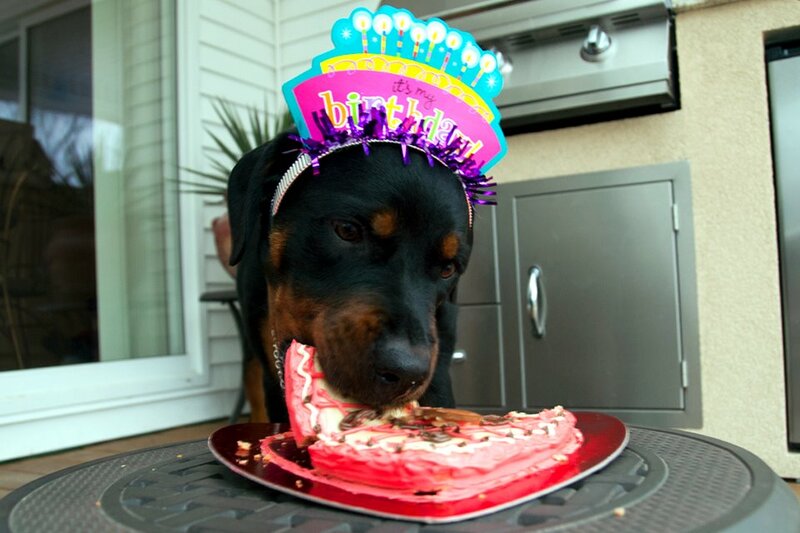 Zeusy is enjoying a dog birthday cake decorated with Fido's Frosting brand cake frosting in the photo above! Fido's Frosting was originally developed by the dog bakery supplies company, K9Cakery.com to enable dog bakeries to ship their cakes and treats in the summer. Prior to the development of this product, many bakeries would simply just shut down in the hot months. They were decorating with perishable icing products and knew that once a beautifully decorated dog birthday cake left the refrigerator, the icing was going to melt. Shipping was costly because they needed to use specially-designed refrigerated bags or ship in refrigerated trucks. 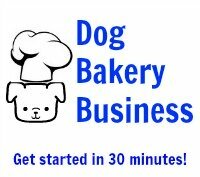 Thanks to the development of a special icing that would dry hard and not melt, dog bakeries were able to change the way they did business for the better! 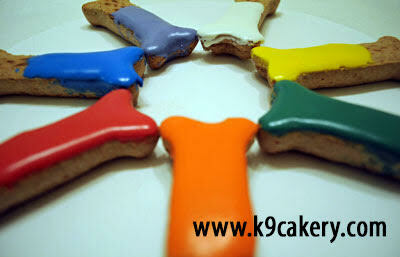 The Magifrost dog treat icing made by Fidos Frosting brand dries hard and glossy, giving treats a "wet" look. Magifrost dog cake frosting is thicker in consistency and is better for piping decorations or writing words. It doesn't melt in the heat so you can actually serve dog treats outside at a dog party in the summer! Click on the logos on the right side of the page to see more about the product. Dogs are carnivores and can be lactose-intolerant. So K9Cakery developed Magifrost to be dairy-free. It won't have a savory taste to the human palate but dogs enjoy it and can smell it through the package, so make sure you store it out of reach! The basic color is white. If you are looking for a white finish to your homemade dog biscuits, just mix up the icing or the frosting with the specified amount of water, stir, and frost. If you would like to add color, icing coloring powders will transform it into a beautiful and colorful covering for dog treats. It is very simple to use. Just add water and stir. The icing will start to harden if left out in the open, so be sure to keep it air-tight while using it. If it does get too hard, just add drops of water slowly to return it to the consistency you desire. The Fidos Frosting brand Magifrost dog treat icing is recommended for decorating treats especially for flooding an area with color. It is too "flowy" in nature for three-dimensional decorations so use the thicker consistency Magifrost dog cake frosting to spread over a cake, or for piping designs like borders, stars, shells or writing. Make sure the frosting or icing dries completely. Then you will be able to stack the biscuits without worry that the icing will dent or crack. It will dry hard and smooth. You can dip the entire biscuit into the icing but make sure that you have a way to let it dry so that air circulates all around. If you put a wet side of a biscuit onto wax paper, parchment, or foil, as it dries, it will stick. Then, when you lift it up, there is danger of leaving some icing behind. If possible, coat just the top. It will still make a pretty treat. The color and the presentation make the treats interesting.